Save your business information to pre-populate fields, save time, and ensure consistency. Select Add Logo to add a logo or image. Browse to the logo, and select Open. 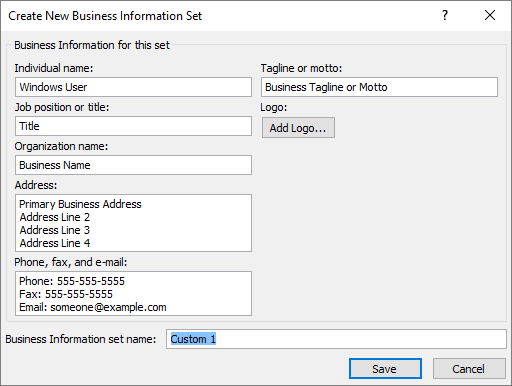 For Business Information set name, type a name like Personal, School, or Company. When you save your file to the cloud, you can share and collaborate with others, and get to your files on your computer, tablet, or phone. 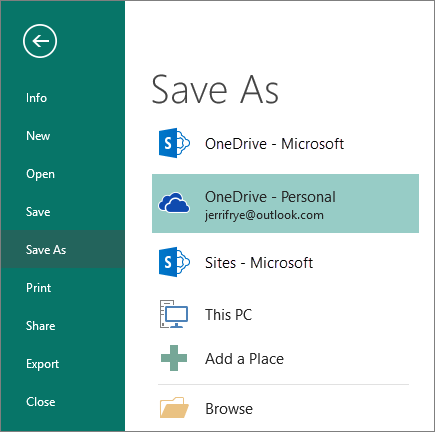 Save personal files to OneDrive - Personal, and work files to your company OneDrive. You can also save to another location in the list, or add a location.